5 out of 5 rating. See my 2 minute Tub Demo Video below. This is a WoW bath bomb for Valentines 2019. 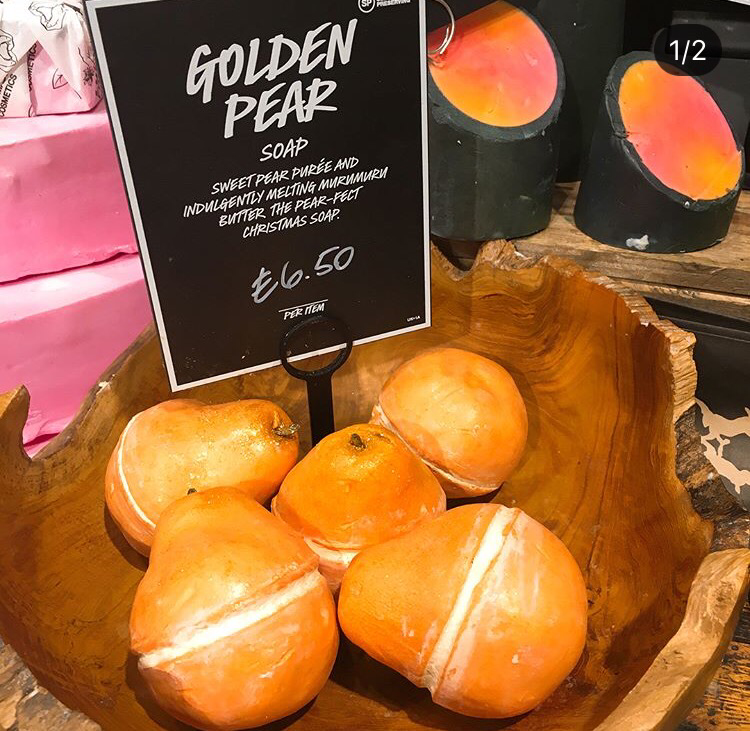 Its made in the Lush ‘Golden Pear’ fragrance. Its made with pear puree cardamom, and sandalwood. 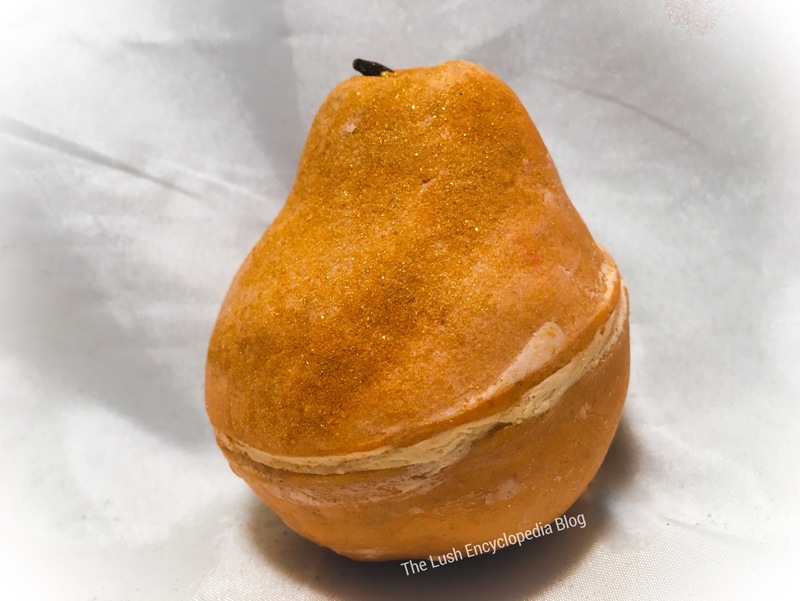 All of Lush Golden Pear bath products have cocoa butter sandwhiched in the middle and this bar is no exception. This pear and cocoa butter mixture is Wonderful feeling. All silky and moisturizing. It Smells like a juicy pear. I love that Lush made this bath bra to look like the outfit that designer Jean Gaultier made for Madonna back in the day. Usually bubble bath products that have more moisturizing things in them dont produce enough bubbles. But this bubble bar syrprisingly in an exception. I tried to show in my tub demo just how many hubbles this produced. Very pleased! The water has a subtle gold shimmer in it and its a light goldrn yellow color. Im glad i bought more than one. Agave syrup, pear puree, Cardamom! I love this soap. It really does smell like pear. Its made with pear puree as its fitst ingredient. It is also more mpisturizing than other lush Christmas soaps, because sandwhiched between the two halves of this pear is cocoa butter. Also added is Sandalwood and coconut. 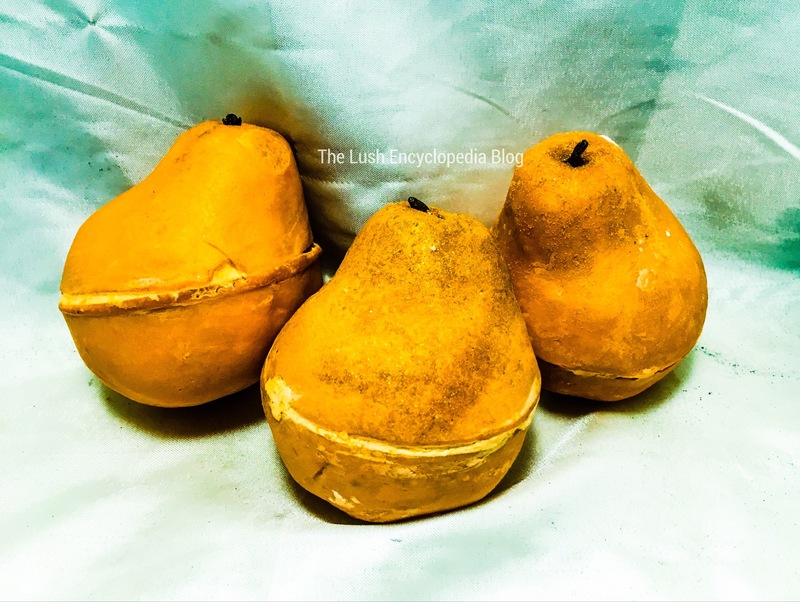 I absolutely love seeing a golden pear at my sink in the bathroom for the holidays. This is the most expendive of the holiday soaps but its totally worth it! Lush Uk at lush.co.uk made these exclusive bath bombs in the same golden pear scent.